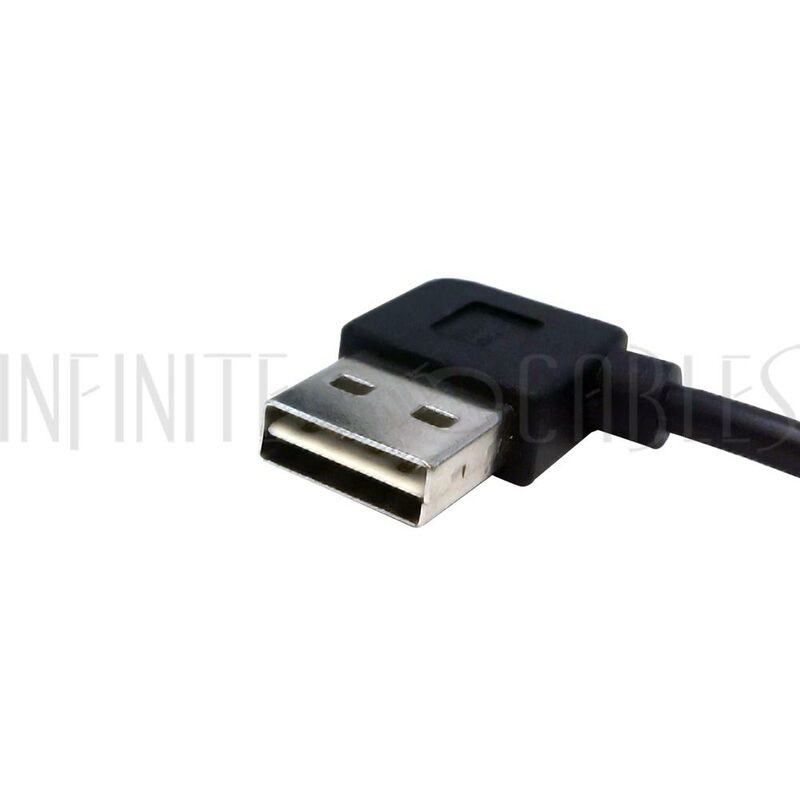 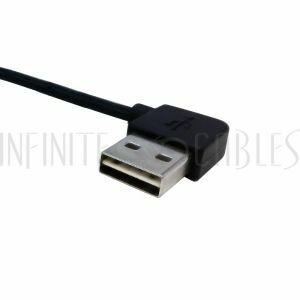 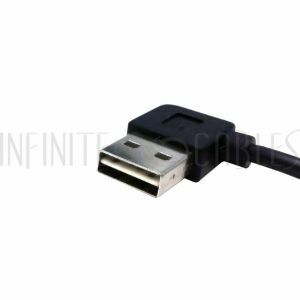 This USB 2.0 cable consists of a USB A right angle or left angle male on one end anda USB A straight female on the other end. 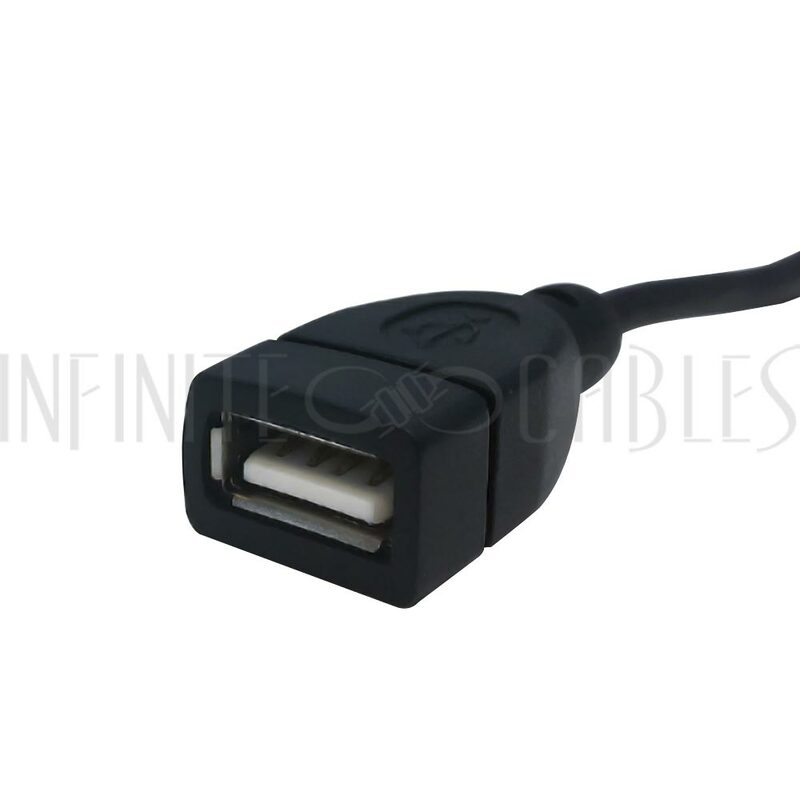 The angled end uses a reversible USBA male connector which allows it to be inserted in either a right angle or left angle exit. It is typically used to extend a USB A cable.